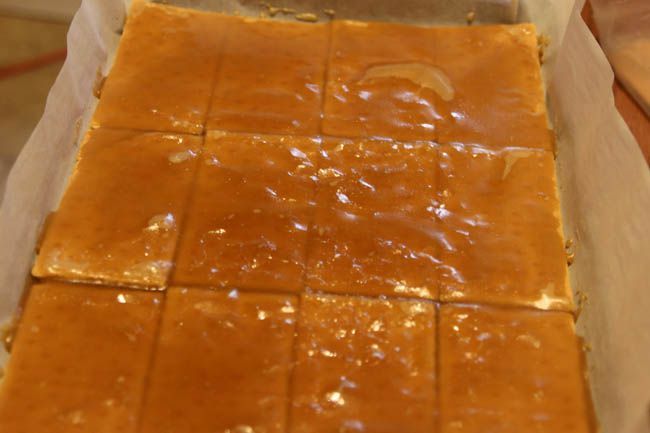 TheRustedChain - The Blog: Toffee. Because I care. Many of you might already be familiar with the recipe. But it's so yummy and so darn easy that I wanted to share. ~ Line a jelly roll pan with nonstick foil or parchment paper. Do not skip this step. ~ In a saucepan, bring 1 cup butter and 3/4 cup brown sugar to a boil. Simmer for 5-6 minutes, only stirring once or twice. Pour that over your cracker crust. ~ Bake at 350 degrees for 7-8 minutes. Remove and sprinkle with chocolate chips. I like Ghirardelli Dark Chocolate. And strangely I think this is better with just a skim layer of chocolate. Too much chocolate hides the toffee and I like the toffee to shine. Pop it back in the oven for 3 or 4 minutes until the chips start to get glossy and melt. ~ Spread the chocolate with a rubber spatula. 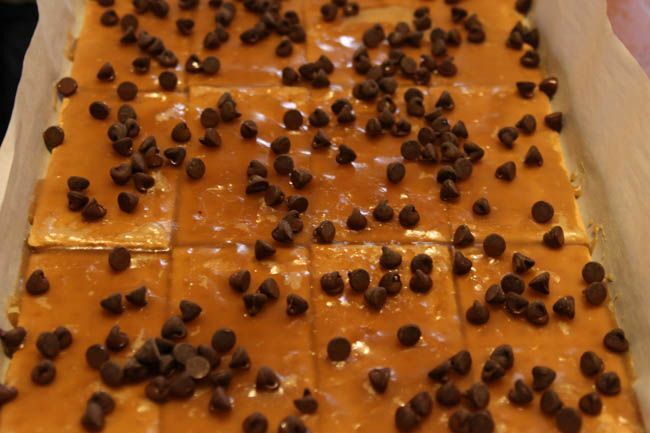 Let your toffee cool in the fridge and then break into pieces. You can add seasonal sprinkles before it's cooled if you like. In this case a certain 3 year old insisted that we add green sugar. And who am I to argue? 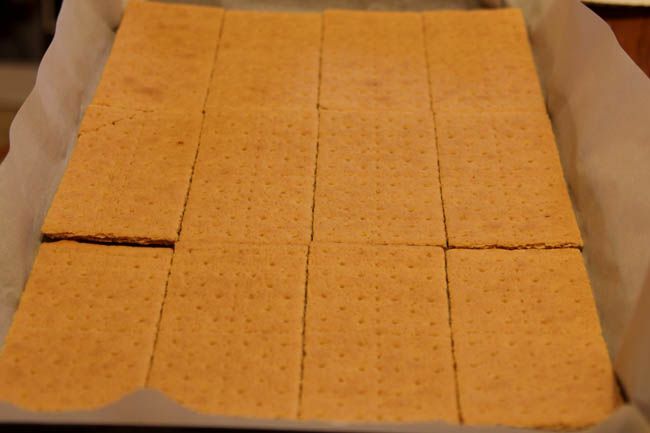 Place crackers in a single layer in a lined 15-in. x -10-in. x 1-in. pan. In a saucepan, bring butter and sugar to a boil. Reduce heat; simmer, uncovered, for 5-6 minutes or until mixture is thickened and sugar is completely dissolved. Spread over crackers. Bake at 350 degrees for 7-8 minutes or until bubbly. Sprinkle with chips. 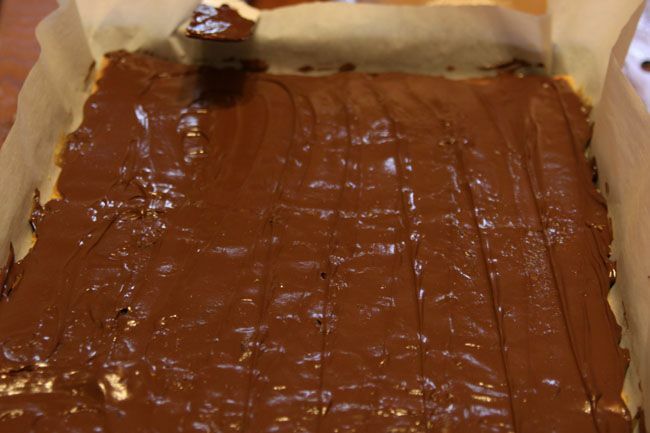 Bake 3-5 minutes longer or until chips begin to melt; spread chocolate evenly over top. Chill for 15-20 minutes or until set; break into pieces. Store in the refrigerator. p.s. There's still lots of time to enter the current jewelry giveaway if you haven't already! Click here. We make ours with saltines-LOVE IT! I am going to make them right now!!! My mom used to make this and send it to me and my friends in college! Love it! I'm really looking forward to trying your recipe. Thanks for sharing it! Hey! My mom used to make these and any time I asked her about them, she didn't remember making them. It's complicated. Anyway, now I have it! Woo-hoo! Thank you! ANNNNNND, it's a Lazy Mom Recipe! Woot-woot! Can I share on my blog sometime??? My mom makes this except she uses Saltines instead. Try it sometime. 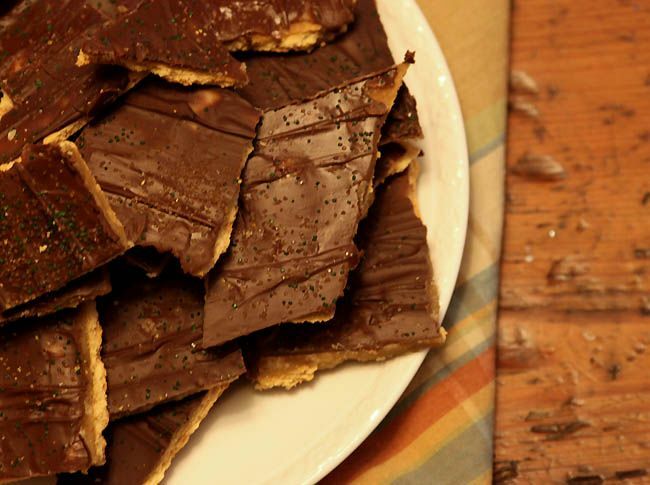 Something about the salty cracker under the toffee and chocolate that's sooooo good! I don't make it myself cause I eat the whole pan! Yum, yum,yum! I WILL make this for xmas!!! Thanks. Making this with my son as we speak!! I am drooling!! I've received this as a gift and was dying for the recipe! Thanks so much! I have been searching for this recipe since I was in high school (a long time ago lol). We used to make this as kids and I could never find the recipe when I grew up!! So thank you!! They are in the oven as we speak! !